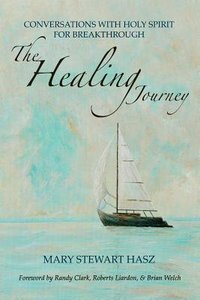 Mary Stewart Hasz is an author, prophetic artist, and traveling minister. Through her conversations with Holy Spirit, she overcame an incurable form of muscular dystrophy. She carries a message of hope and love. Mary invites people into the journey of the heart to experience the supernatural healing power of God. She and her husband, Rich, have five children and live in Moravian Falls, North Carolina.